Clean air via ionsation with our AIRGANIX products. GS aproved ! The quality of Swiss mountain air in your home, at work and in your car. Our Airganix ionization products are unique. Clean air in your living environment. A Albert Einstein idea. The quality of Swiss clean mountain air in your home, at work, in the car, while traveling ! Early 1900 Albert Einstein’s sister Maja had tuberculosis. At that time, healing from a hospital stay high in the Swiss Alps, she remarkably recovered fully. Einstein and his friend Conrad Habicht, tried to find a science explanation for this phenomenon. They discovered, that at high altitude, the number of activated oxygen ions is much higher than in the low land. Einstein developed a device that high air electicitity could recreate the air like in the mountains. The Cloud is the contemporary version of this unique potency multiplier. It mimics the natural composition of the clean air after that has been disturbed by human activity. How do positive ions come into our atmosphere? Positive ions enter our atmosphere from: Addition of certain chemicals such as barium salt. Various types of radiation events in our solar system (solar eruptions, moon phases, etc.) Negative ions are smaller in numbers, because the conditions under which negative ions generated by human activities are greatly limited. In our atmosphere when measured, there are an average of 1500 to 4000 ions per cubik centimeter (cm3). The earth itself has a negative charge, so negative ions are repelled. This repulsion ensures that there is a certain balance between negative and positive ions in a ratio of respectively 10 on 12. An excess of positive ions or lack of negative ions can cause the so-called serotonin hyperfunction syndrome or irritation syndrome and includes insomnia, irritability, tension, or stress, migraine, nausea, palpitations, heat attacks combined with chills or sweating, tremor and dizziness. Older people suffer from depression, lethargy and extreme fatigue. The inhalation of positively ionized air may also have the effect that occurs in the respiratory tract. Conditions such as asthma, bronchitis, hay fever, but also rheumatoid arthritis and other chronic pain to be strengthened. The same effects indicating an excess of serotonin. Apart from respiratory problems, there are itchy eyes, dry throat, difficulty swallowing, dizziness, dense nose, dry skin, migraine etc. Is it possible that positive ions are responsible for the release of serotonin in the body ? Research has proven so. 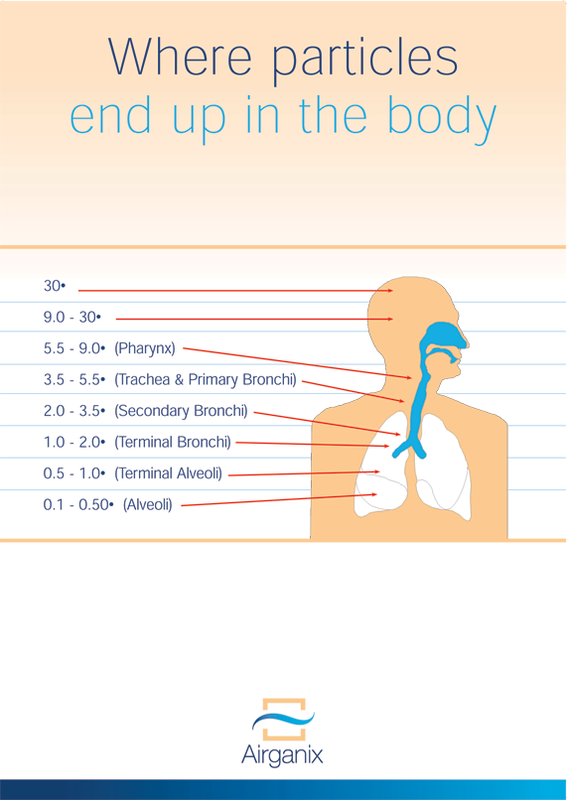 It seems that by inhalation relatively large amount of air, positive ions go through the lungs into the bloodstream. In the blood stream these positive ions serotonin are separated from the red blood platelets. Depression is now often treated with drugs that block the uptake of serotonin, such as Prozac, Paxil and Zoloft. Since depression are a symptom of a lack of negative ions or an excess of positive ions, it would be quite possible to use negative ion therapy, instead of medication . Here is a table showing the percentage of people who have benefited from the purchase of an Airganix air purifier. * The total is more than 100 %, because individual buyers buy ionisors for more than one reason. According to studies, done on the influence of positive ions, it was found that 75% of the population is affected by the presence of relatively large amount of positive ions, while negative ions in the same group of people was found to have a calming influence! An analysis of 2,000 elementary schools showed that children were busier and more aggressive just before a storm. The drawing above shows where the airborn particles will end up in your body. Highquality ionisation technology to create clean air in closed spaces for either domestic or professional use. Quite liked the design and scale, it should do all I desired. Well, it did and how!!!! It makes almost no sound and I’m sleeping like a baby!!!!! What a relief, wow!!!! You can just smell the fresh and cleaned air coming out of it. Just like the first review. It’s a fantastic product! It’s a fantastic device. Real fresh air! Clean air in your house, at work, while traveling and in your car!